It was reported that a year ago today, Islamic militants beheaded three in the South Yemen towns of Ja’ar (in the Abyan Governorate) and ‘Azzan (in the adjacent Shabwa Governorate) on charges of providing intelligence to help the U.S. to conduct drone strikes. The executions were announced to the media by text message. The ongoing shadow drone war in Yemen has steadily drummed that fractious Arabian peninsula state with missiles from flying death robots, piloted from afar (under separate command structures, little difference though that makes to those on the receiving end) by the CIA or the U.S. military’s Joint Special Operations Command. The deaths one year ago took place in the sunset of President Ali Abdullah Saleh‘s government, when much of southern Yemen was functionally controlled by militants for several months. The Obama administration significantly ramped up drone strikes in south Yemen from late 2011, and kept right on ramping throughout 2012. The stated target of all this remote-controlled ordnance is Al Qaeda in the Arabian Peninsula, but it’s more than clear that many of the nameless casualties are not militants. For instance (and this was obviously not the strike being avenged by our February 12 execution in that same city), a May 2012 drone raid on Ja’ar was decried by locals who insisted that not one militant was among the dead. * “Our lives are valueless in the eyes of our government, and that is why civilians are being killed without a crime,” one man told CNN. Then again, as this post goes to press, Americans have themselves had a bracing reminder of their own killability, courtesy of a leaked memo giving a partial glimpse of the Obama administration’s startlingly expansive assertion of the right to murder American citizens or whomever else on the unilateral say-so of somebody sufficiently senior. 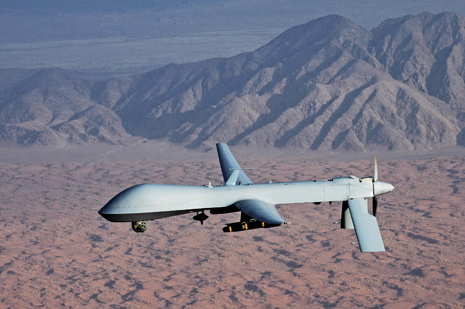 ** Many drone attacks target not named individuals, but unknown people whose activities from drone or satellite surveillance are held to match a terrorist’s pattern. † There’s even been a Congressional proposal for a secret court to decide who goes on the secret kill list.